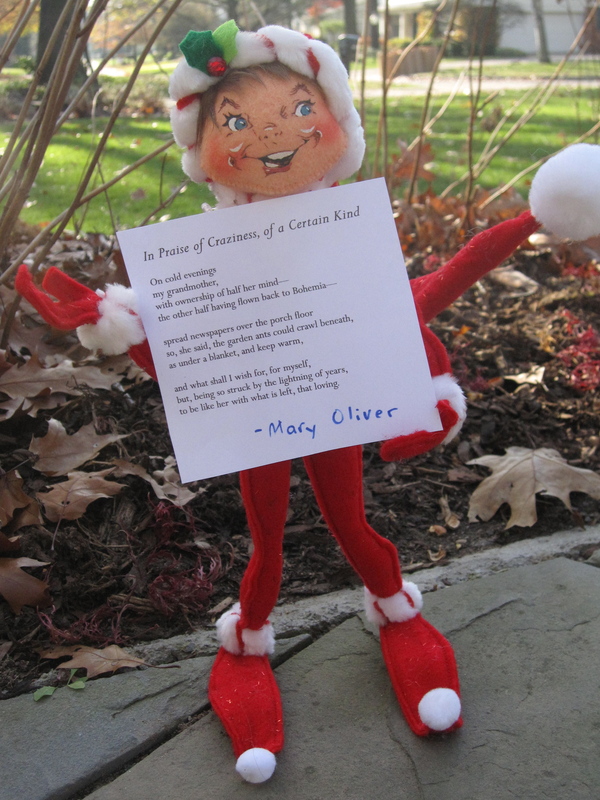 A dear friend gave me this elf for my birthday. Nothing better than a gift you didn’t know you wanted, a gift that makes you feel that someone has studied you, understood you and desired to please you. I’m delighted with this felted fellow! I see hours of amusement ahead with his pose-able body and naughty face. The poem is taken from a book given to me by my dear friend’s sister. 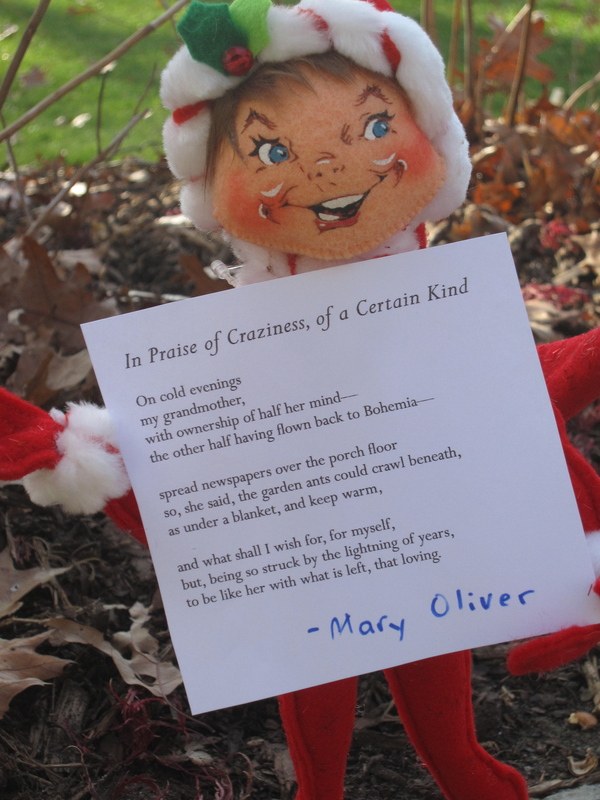 I like the juxtaposition of the mischievous imp and the sweetness of the poem. The poem speaks to me of my friend, who is recently a grandmother, and her sister, who has just today done a kindness for my niece. I hope they won’t be offended when I say that “craziness of a certain kind” is a quality I seek out in people, have found in them, and consider an ongoing gift they present to the world.